Want to dive into the basic features and functionalities of Trello? Check out our previous installments — Using Trello Like A Pro: Part 1 and Part 2. At this point, we’re confident you’re close to being an expert Trello user. 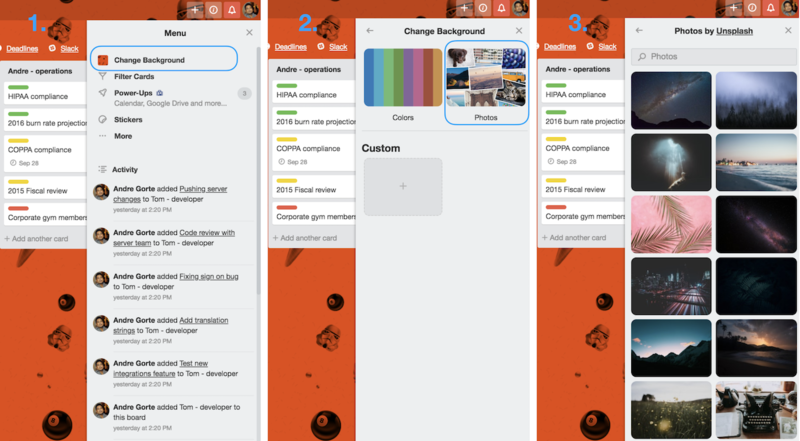 You know all the shortcuts, how to embed cards into applications, and the tricks in your boards and cards to get more done with fewer frustrations. But as you, our whip smart and highly productive reader, know, constant education is essential to keep your skills fresh and relevant. So without further ado, let’s learn more Trello features and functionalities so you can really show off your newfound tricks to your team. And in case you want to take it back to some of the basics, check out Part 1 and Part 2 of our Using Trello Like A Pro Series. We are dedicated to keeping the core Trello experience as simple as possible. If it’s not something that every project needs, like comments, checklists, and attachments, then it’s not going to be in core. But we still want to provide additional, niche features to those that need them. 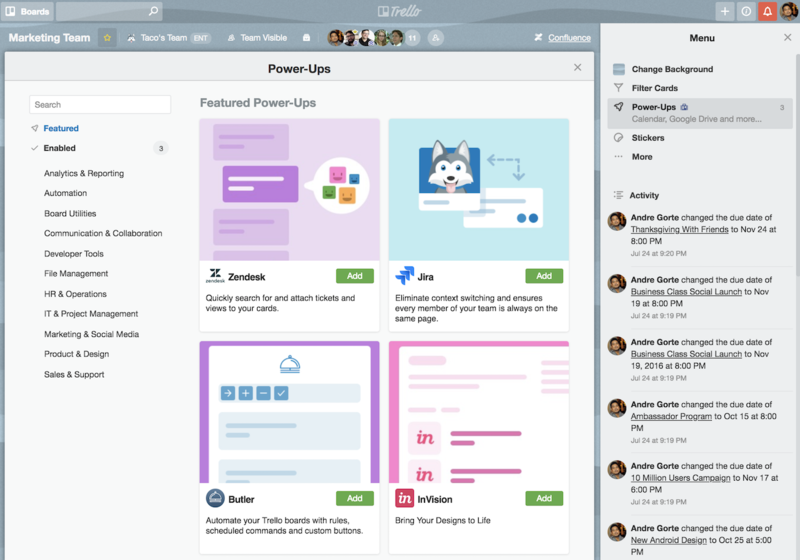 Meet Trello Power-Ups. We have over 100 Power-Ups for popular apps like Slack, Google Drive, and Bitbucket. And that’s not including the thousands of private, custom Power-Ups built by our users to serve their business needs. You can view the available Power-Ups in our Power-Up Directory. To enable them, open up the board menu in the board sidebar and select “Power-Ups.” Free users have the option to enable one Power-Up per board. Enable unlimited Power-Ups per board (and more!) with Trello Business Class. Getting to inbox-zero has never been easier with this feature. Open the sidebar menu on your board, select “Settings,” then “Email Settings.. Trello provides you with an email address for each board, and even each individual card. Pro tip: Add the email to your address book with a nice, easy-to-remember name of your choosing. Send that address an email and boom, a card will appear on your boards. Get a full play-by-play here on how to set this up. If you’re a Gmail user, you can integrate the Trello Add-on for Gmail. With this feature, you can click on the Trello icon next to any email to create a corresponding card in Trello. You can change your background to one of six colors, but wouldn’t it be nice if you could stare at a scenic view instead while you’re working? Thanks to Unsplash, Trello users have free access to their huge library of beautiful photographs. That’s right— there are millions of free background options available in Trello. Thanks Unsplash! To see the new Unsplash backgrounds, go to Menu > Change Background and then click Photos. From there you are able to scroll through suggested photos, or search by keyword to narrow down your results. And with Trello Gold, you can upload your own background. Open you board menu in the sidebar, select “Settings,” then select “Change background…”. Board backgrounds are used in a lot of places, including the boards page. Another cool thing: when you open a board in the browser, the favicon will change to match the board background, so you can always find it in your sea of browser tabs. As we mentioned before, Trello is filled with keyboard shortcuts which will have you Trellin‘ with unheard-of speed. They are all listed on this page, which you can bring up at any time by pressing “?”. The “J/K” keys will become your new best friends. If you are viewing a card, you can press “J” to open the next card in the list, and “K” to open the previous card. You should also know about “B.” Press it to open the boards drawer, where you can immediately start typing to filter boards, and press “enter” to open it. Another common favorite is “Q”, which will filter the board for only cards assigned to you. Great for large boards with tons of cards! It’s a jungle out there. Try it! You can put your very most important board at the top of the list, making it even easier to access. We have two paid products for your consideration. We created Business Class for teams and businesses to provide them with unlimited team boards, additional administrative controls and features, like Google Apps integration, observers, and additional permissions. Read more about Business Class. We created Trello Gold for individuals so you can support Trello and get extra bits of fun and functionality, like custom board backgrounds, larger attachments, and stickers. 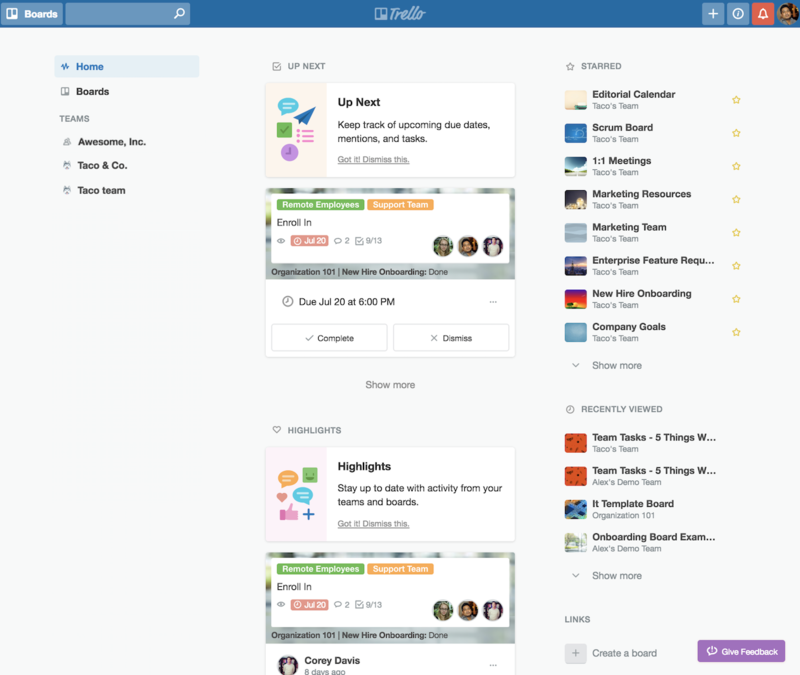 Read more about Trello Gold. Also, for every person you get to join Trello, you can get a month of Trello Gold for free, for up to 12 months. Check out your recommend page for ways to share Trello. Instead of opening another tab in your browser, you can use the Trello desktop app. It’s available and free for Mac and Windows users. Trello for desktop now offers more granular keyboard shortcuts, as well as the ability to set custom ones. Click the gear icon in the top right corner of Trello for Desktop to create custom shortcuts to open the app, as well as a Quick Add shortcut to create a card from wherever you are. There are tons of new keyboard shortcuts available exclusively in Trello for Desktop. View the full list here. 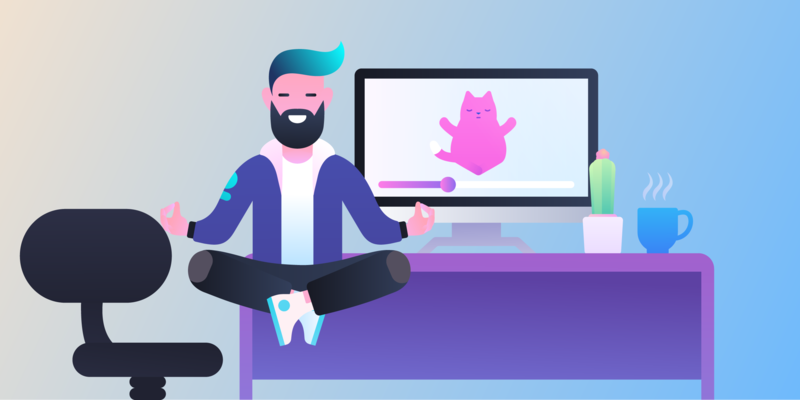 You no longer have to ask, “What should I work on next?” or “What’s my team up to?” thanks to Trello Home. The Trello Home view provides you with the high level perspective of what’s happening at any moment across your teams, boards, and card activities. 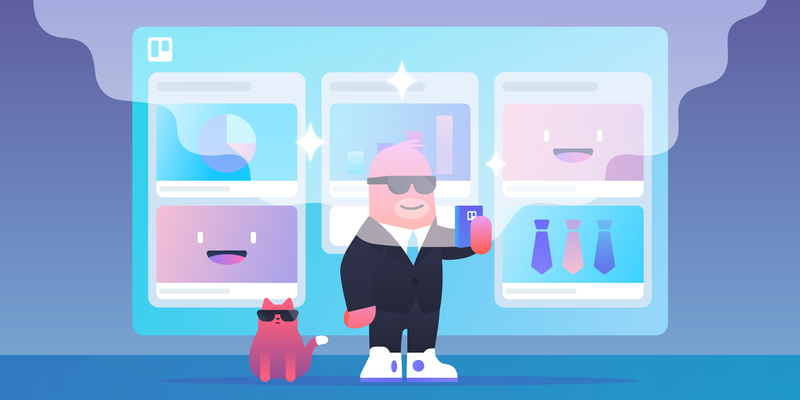 Now, whenever you log in, you’ll be greeted with a single view that shows you which due dates are coming up next, card activities that need your immediate attention, and everything that has happened across your Trello teams and boards while you were gone. Here’s the best part: Right from this view, you can reply directly to said cards or dismiss them if they aren’t at the top of your to-do list. Click the “Complete” button to mark a due date as done without heading to the card itself. When you’re ready to keep stacking up those accomplishments, hit “Show More” to surface additional cards needing your attention. Get a full tour of Trello Home here. 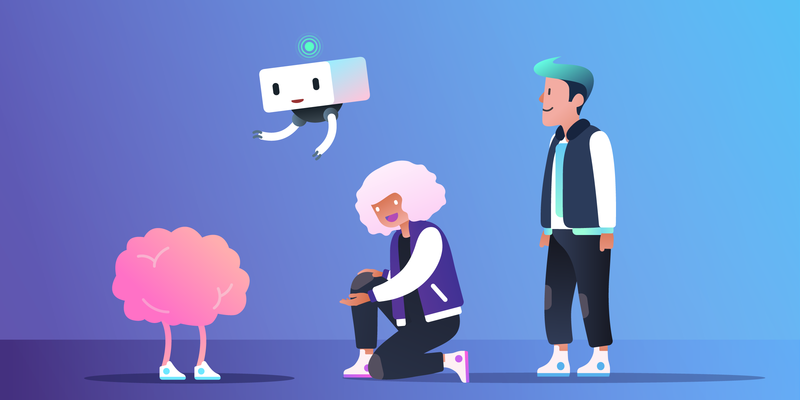 To flex your Trello muscles even more, check out our Trello Resources page and start creating boards and cards for all aspects of your life by learning from other users in our Trello Inspiration page. Next: So You Just Signed Up For Trello. What Now?